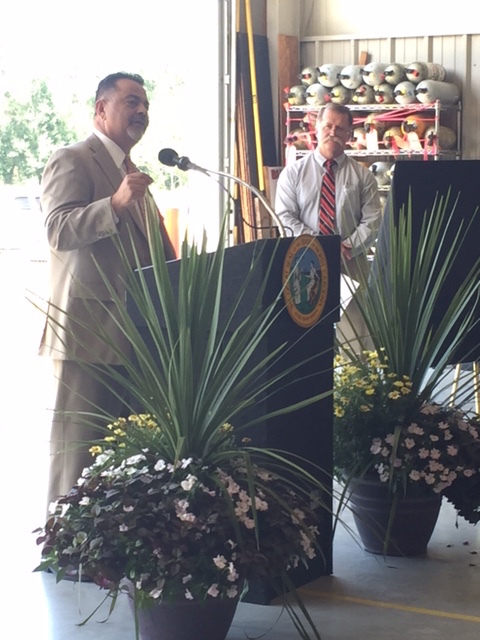 The newly constructed bridge that spans the Cape Fear River in Tar Heel was officially dedicated on Monday afternoon. 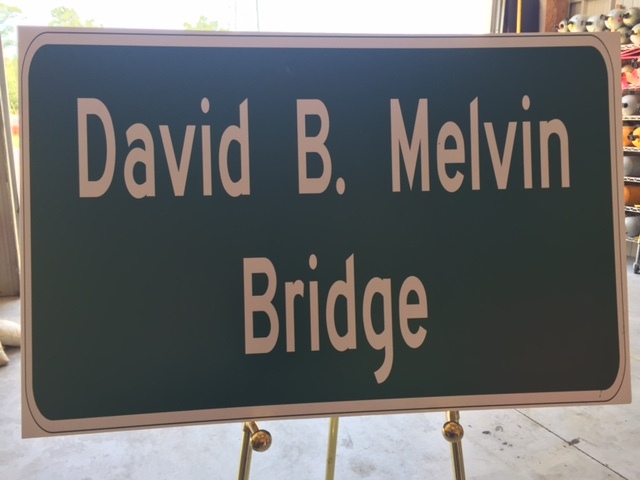 The bridge will be called the David B. Melvin Bridge in honor of the ferry operator who lost his life on the Cape Fear River. The new bridge took the place of the former truss bridge which had spanned the river for a number of years. 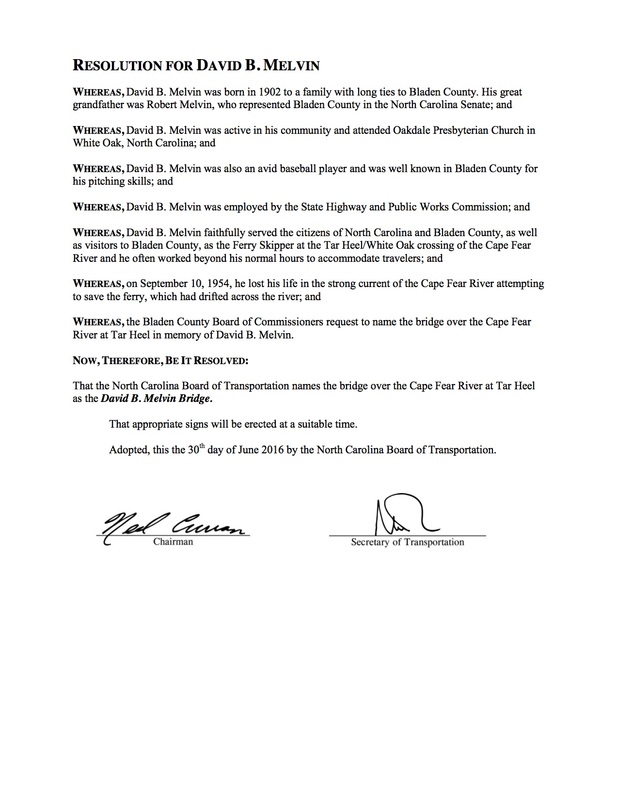 The NC Board of Transportation adopted a resolution to name the bridge in honor of Mr. Melvin in June 2016. 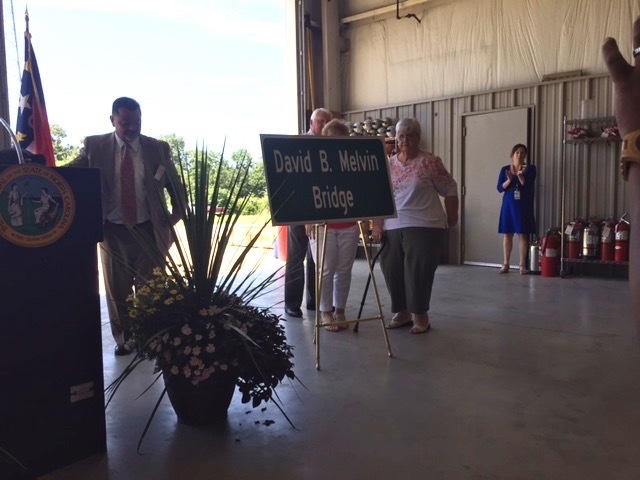 Grady Hunt, a member of the N. C. Board of Transportation, presented the family a replica of the sign which will be installed on the bridge. 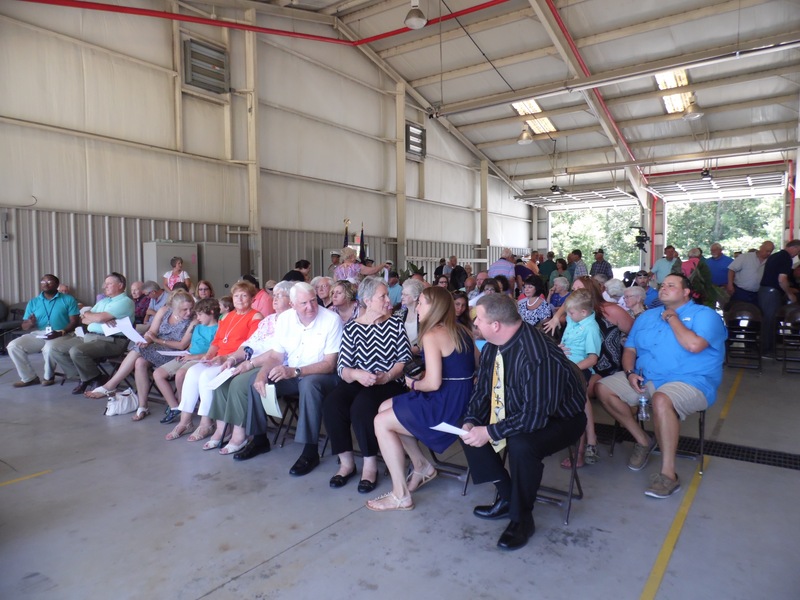 In his remarks, Hunt said Mr. Melvin knew the community depended on him to operate the ferry so they could cross the river. “He gave his life for his job,” said Hunt. 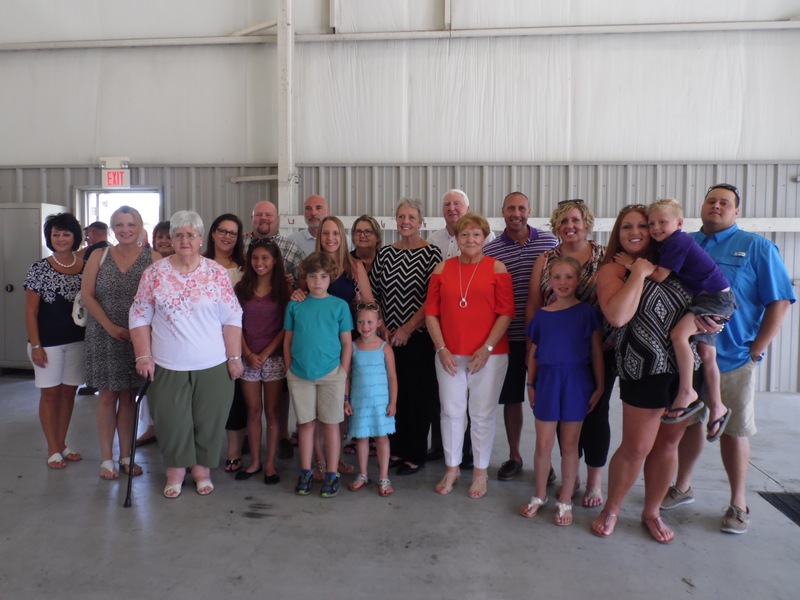 A host of friends, family, and community members all gathered for the dedication and shared fond memories of the ferry operator. 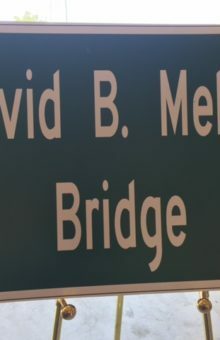 David B. Melvin lost his life on September 10, 1954, when he was attempting to save the ferry during the night and fell into the river and drowned. The ferry had apparently broken free of its moorings and drifted towards the other side of the river. 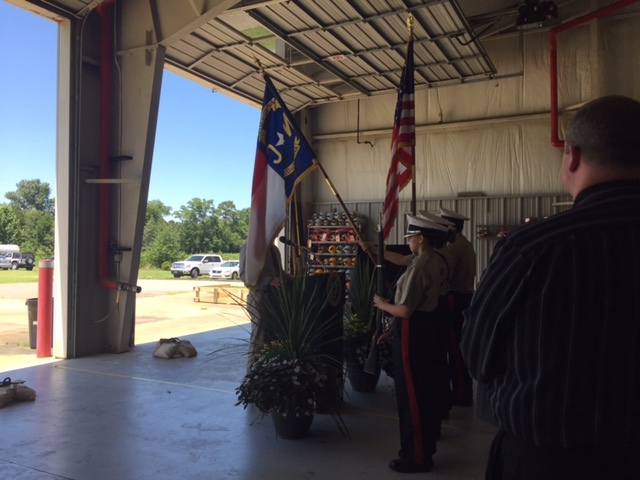 His son, Larry Melvin, recalled the family resided in White Oak on the east side of the Cape Fear River. He said he was only 8 years old when the family learned of Mr. Melvin’s fate. He recalled when his father worked on Sundays, he would get to go to the ferry with him. “I got to see first hand what had to be done,” said Larry Melvin of operating the ferry. 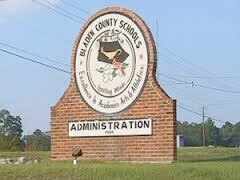 Linda Smallwood, Mr. Melvin’s daughter, recalled her father sometimes going fishing when the ferry was not busy. She also recounted how every Easter, he would dig some of the lilies that grew along the river and take them to the church. Smallwood, DeVane and Melvin, though only children, recounted the day when the family learned what had happened to their father. 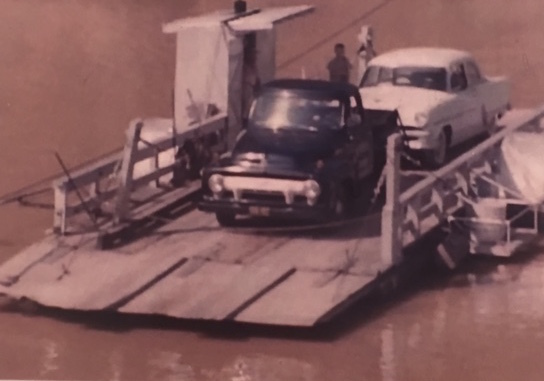 She recounted a barge had been traveling up the river and discovered the ferry in the middle of the river and her father’s tractor was found on the bank of the river. Smallwood said searchers couldn’t find her father at first, but eventually his body was located on the west side of the river. 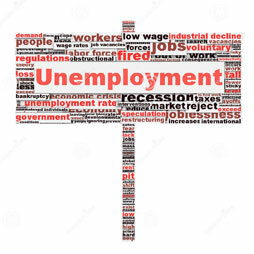 DeVane said she had only been married one week and she and her husband were returning home when they learned what had happened to her stepfather. David Melvin was also a well known baseball player at the time of his death as well as a farmer. Larry Melvin said his father would often carry someone across the river and then wait for them to return and ferry them back across to the other side. Melvin said his father would often perform such acts to prevent someone from having to travel to Elizabethtown to cross the river. 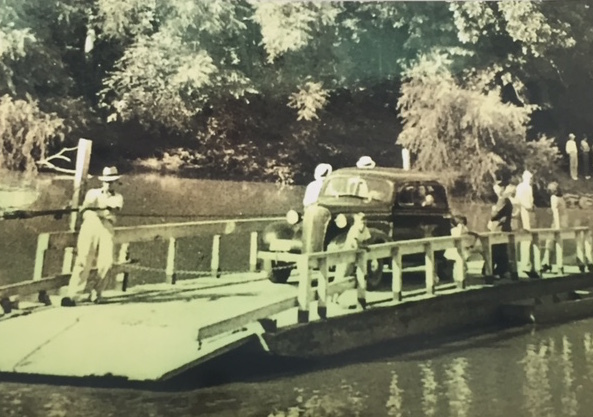 The North Carolina Ferry System was established in 1947. 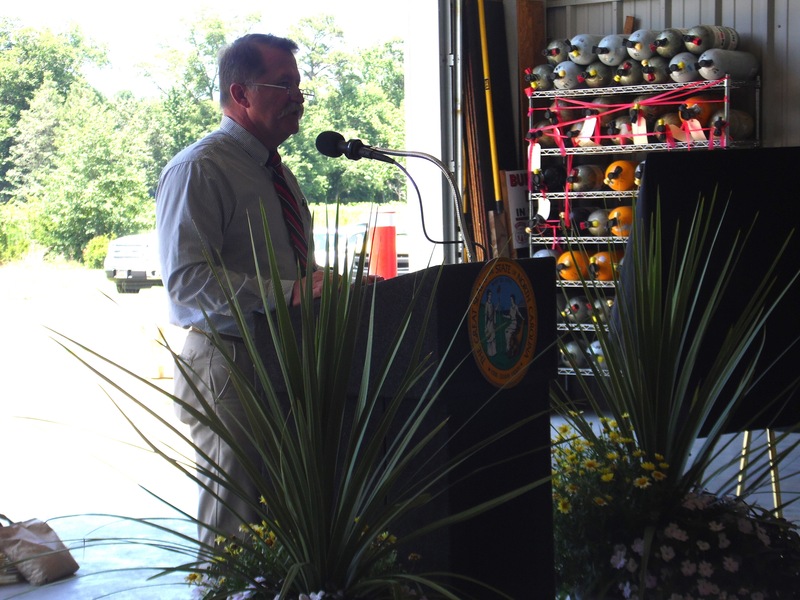 Today, there are seven ferry routes in North Carolina which cross five different bodies of water, according to Hunt. This makes North Carolina’s ferry system the second largest in the United States.